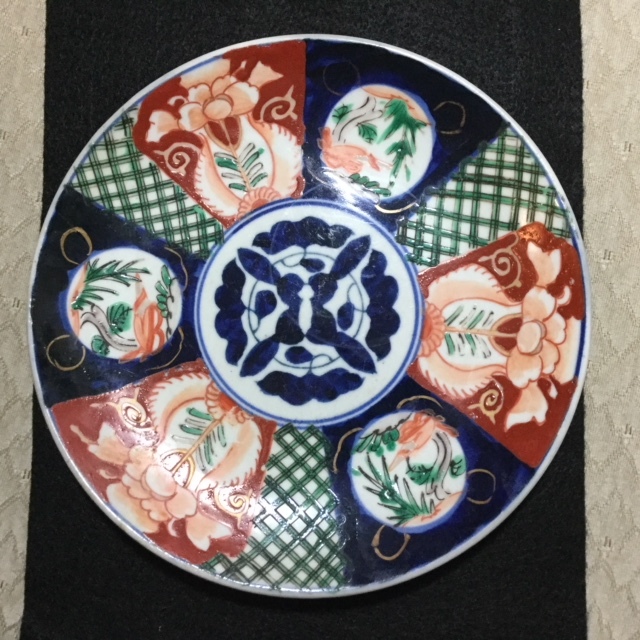 I am hoping to get some information about this 22cm plate in Imari style. I am thinking Taisho period, or maybe even newer- but no mark on it for me to go on. Does the center motif have a meaning or is it just a decorative element? 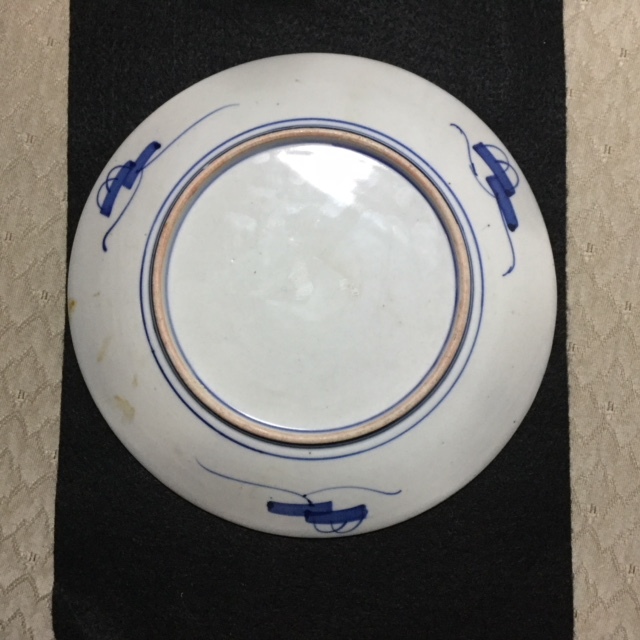 I am also still seeking any information about the two bowls. 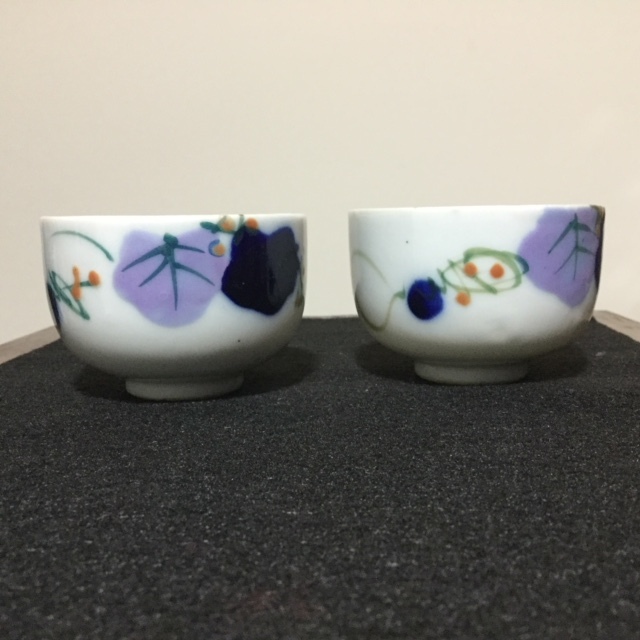 I like the colors and design, but I do not know what style it would be called for me to research them and approximate a date. It would be nice to use them, but if they are very old, I think I should not take the chance of breaking them. Once again thanks for all the help and information you have shared in the past, and as always, any ideas and opinions are very much appreciated.